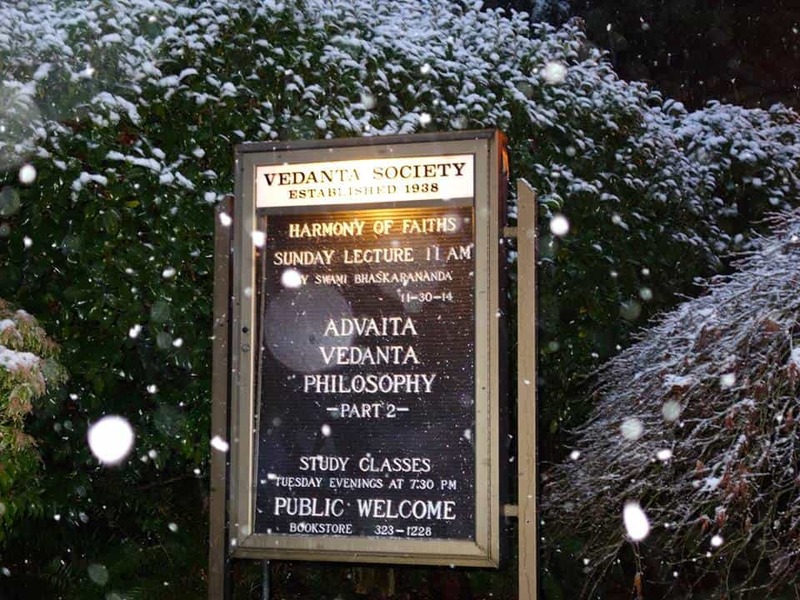 The Vedanta Society, established in 1938, promotes Vedanta through weekly lectures, a variety of publications, devotional singing, monthly retreat programs, and annual worship festivals. 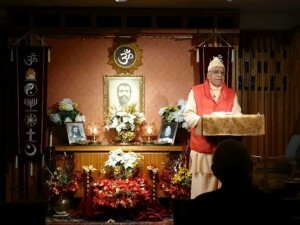 Personal spiritual instruction is also given by Swami Bhaskarananda, the spiritual head of our center. 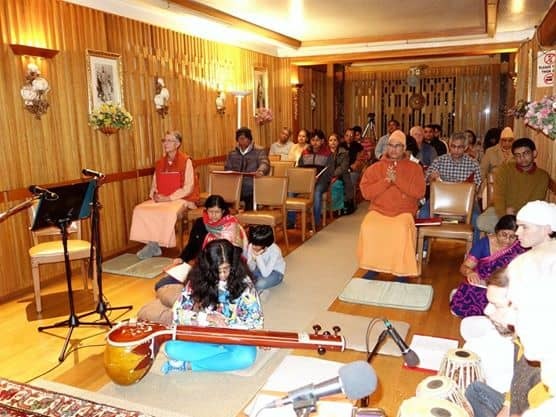 Founded in 1938, the Vedanta Society of Western Washington is a fully accredited branch of the Ramakrishna Order of India which was established by Swami Vivekananda in 1894. 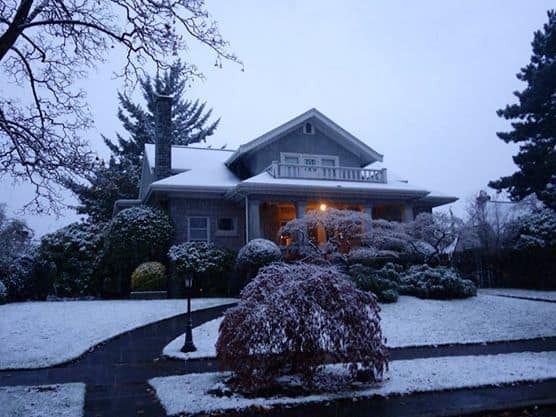 This is the first Hindu Temple of the Ramakrishna Math and Mission (as it is known in India) in Washington State. Vedanta, which means the end of the Vedas, speaks of man’s true nature which is divine and of the essential harmony of all religions. These teachings and the Order to which the Society belongs are inspired by the life of Sri Ramakrishna Paramahamsa (1836-1886), the greatest Hindu saint of 19th century India. The founder of The Vedanta Society of Western Washington was Swami Vividishananda. 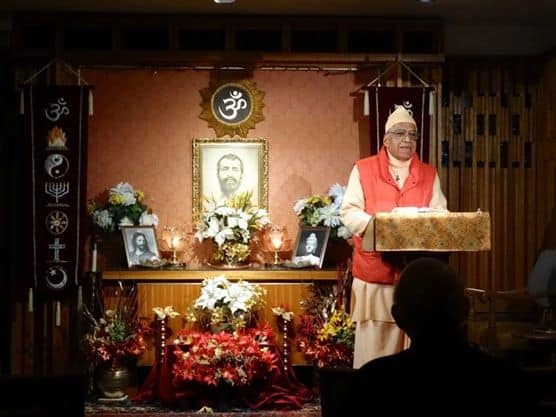 After working in several American cities, he came to Seattle in 1938 and founded The Ramakrishna Vedanta Center of Seattle. In 1979 this center changed its name to The Vedanta Society of Western Washington. The building at 2716 Broadway Ave East, which the Society now occupies was purchased in 1942. The most fundamental teaching in Vedanta (Hinduism) is that all that exists is divine. Thus every human being is innately divine. And the ultimate goal of life is to manifest this inherent divinity. Divinity is equally present everywhere, but not equally manifest everywhere. So far as human beings are concerned, divinity is most manifest in a spiritually illumined soul. Individuals can manifest their divinity by following different spiritual paths (or spiritual disciplines) called Yogas. There are mainly four Yogas: (1) Bhakti-Yoga or the path of love and devotion to God; (2) Raja-Yoga or the path of mental concentration and meditation; (3) Jnana-Yoga or the path of philosophical inquiry, also known as the path of knowledge; and (4) Karma-Yoga or the path of selfless action.